Test your algebra skills by answering questions. This quiz asks you to solve algebraic linear and quadratic equations of one variable. Choose difficulty level, question types, and time limit. 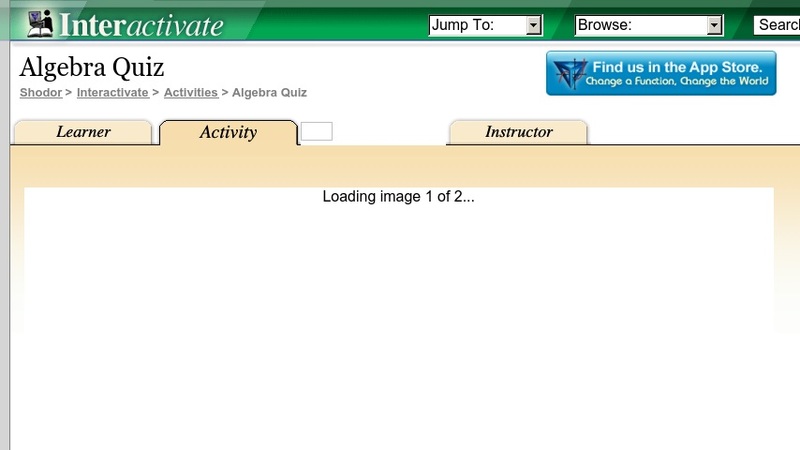 Algebra Quiz is one of the Interactivate assessment quizzes.